Jewelry or Candles... As a woman I would be hard pressed to pick a favorite out of the two. I mean really I like to look good and I like when my home smells good. Thanks to Jewelry Candle I can have the best of both worlds! Jewelry Candles have Jewelry hidden inside. You have to burn you candle to get down to the hidden gem. And the jewelry can be worth anywhere from $10 - $7500!! For those of you thinking, well I hate rings I want a necklace. You can go to their site and choose what type of candle you want. 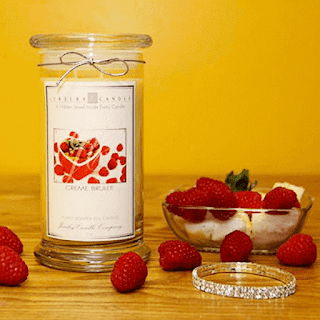 If you are like me and love it all you can just choose a surprise candle! I also love that if you pick a ring you can put your size in. We are all beautiful ladies, but my size 8 finger just wont fit into a size 5! I tried the veggie oil got quite the workout that day. A few weeks ago I was sent a Creme Brulee after telling the owner how much I loved it and I was afraid my mom was going to steal it she sent me a 2nd Creme Brulee!! Please note readers I have an addictive personality. When I like something I get almost obsessive with it. This Creme Brulee candle is my new obsession! It smells so buttery good, with hints of sweetness that make my entire house smell amazing. I am still burning my first one! I kid you not it has been weeks now and it is still around. So Jewelry Candles gets a thumbs up for being long lasting. Also when I do light my candle it can make up to two rooms smell amazing. Plus the scent sticks around even after I blow it out. So I do love my mom, but I wanted a new candle for myself. Seeing as it is fall the owner decided to send me a pumpkin spice! This is fall in a jar! It honestly smells just like my kitchen when my dad and I make pumpkin pies! 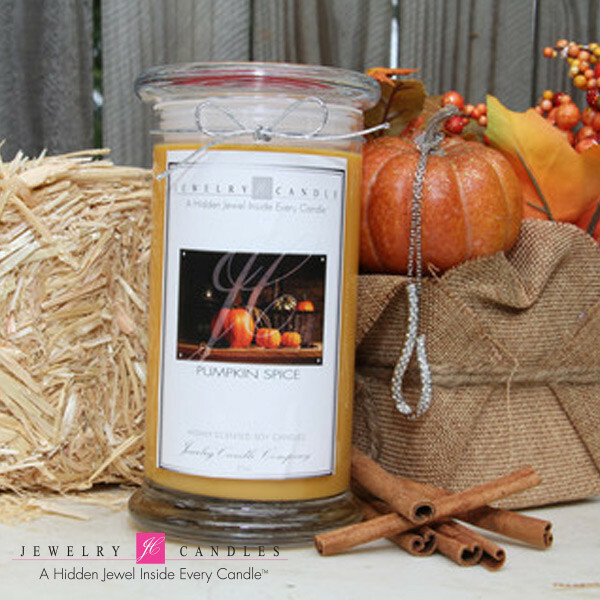 That rich pumpkin smell, blended with mouth watering spice. I can smell cinnamon, clove and even some hints of vanilla. The candle is fall! When I think of fall this is the scent that comes to mind. It reminds me of baking pies with my dad, going on hay rides with my little brother and carving pumpkins with my kiddos. I am always amazed how a single scent can trigger so many memories, but that is just want this candle does. I love it! Just like Creme Brulee the scent carries throughout the room and makes my house smell lovely. Okay so I did promise you the best of both worlds. Each candle has a hidden gem. As I said the gem can be worth anywhere from $10 - $7500. You can let it be a surprise of you can pick which jewel you get. They have earrings, bracelets, necklaces, pendants or a ring. And don't worry about the wax ruining it. Each jewel is wrapped in aluminum foil to keep it protected. And if you want them to "Appraise" what your's is worth you can upload a photo to their site and they will get back to you with the $ value. My house smells great, I can a surprise jewel and then I get to wear said jewel?!?!?! What more could I want!! Guys if you are having a hard time finding a gift for that special lady (Wife, Girlfriend, mom, grandmother, ect) trust me when I said you can't go wrong with a Jewelry candle. Okay I know I am a tease. You all seen that this was a giveaway post and it really is! 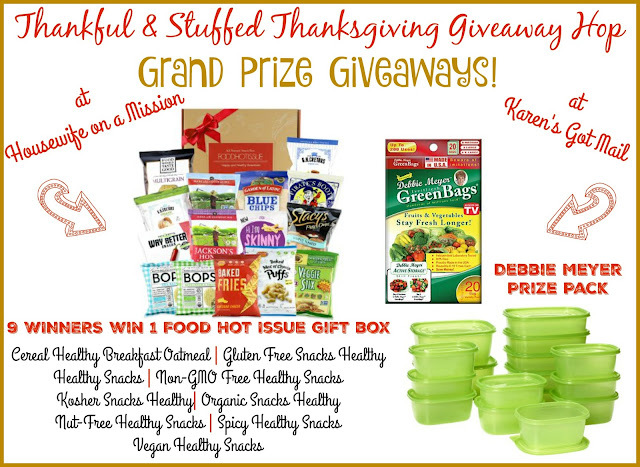 5 super lucky Simply Me readers are going to win their own candle!